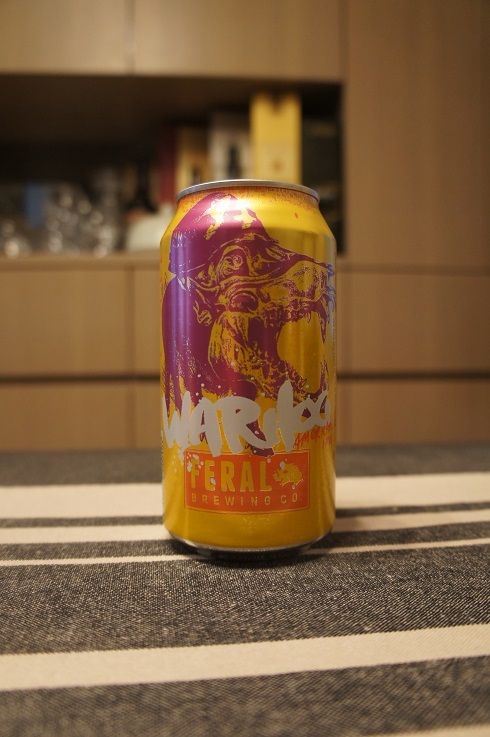 4 - Good (buy), American IPA, Australia, Beer Reviews, Feral Brewing Co. Brewer Description: (from can) Prepare to be tagged and bagged as this Full Metal Jacket of an IPA rains an apocalyptic, resinous hellfire of clustered hops and passionfruit aromas upon the senses. There’s nowhere to hide, so gear up, sound off, and blast “Ride of the Valkyries” at full volume, because, soldier, you’re at war. We love the taste of IPA in the morning. Intro: A 375ml can with unfortunately no canned on or best before date. 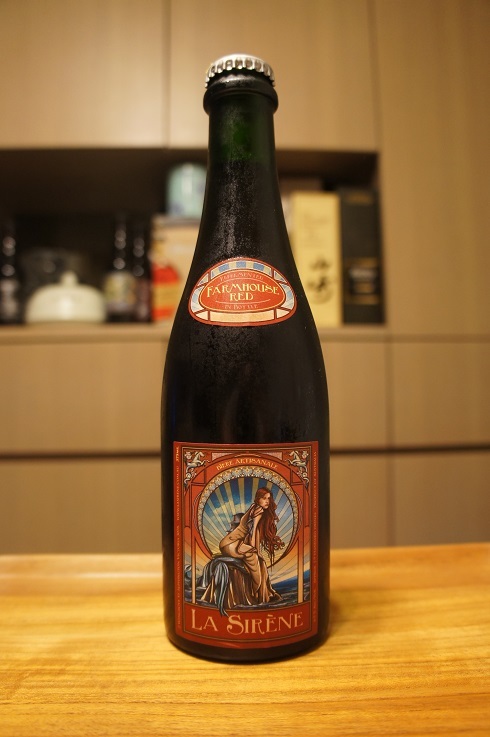 Poured into a Lost Abbey teku. Appearance: A cloudy, lightly dark golden orange colour with a just under two finger white head that dissipated quickly while leaving only sparse lacing. Aroma: Tropical mango, peach, passionfruit and some citrusy mandarin with hints of grass. Very juice like. Taste: Citrusy orange, orange rind bitterness, grapefruit and juicy passionfruit. 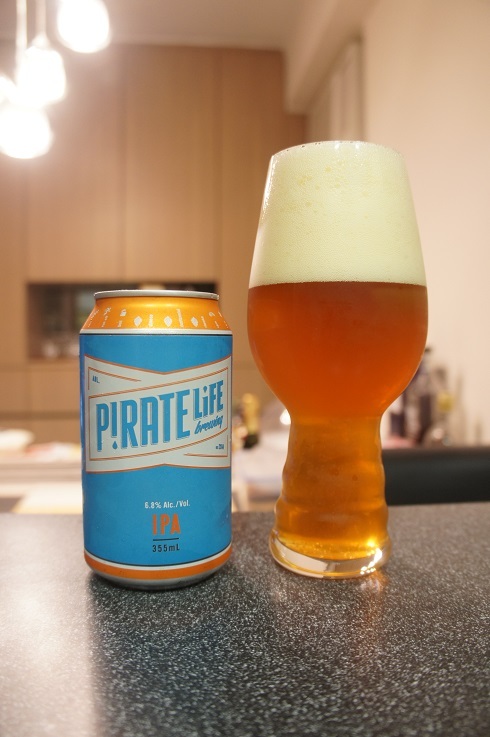 Overall: A nice, juicy and easy to drink IPA. 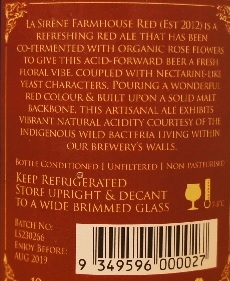 Aromas were especially good. 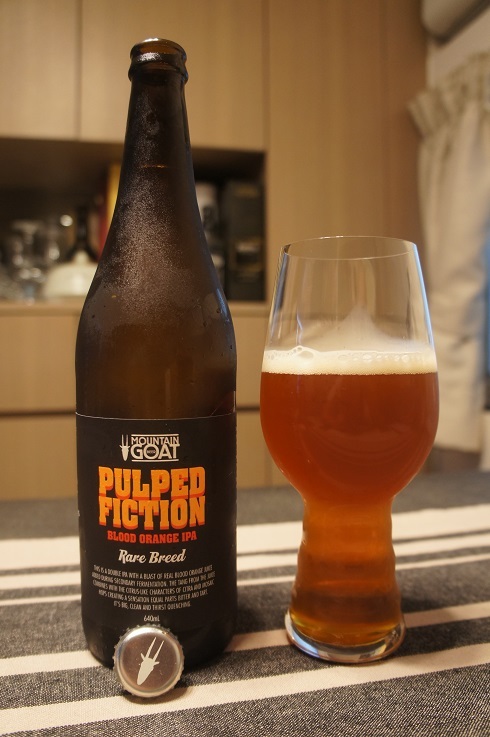 4 - Good (buy), American Double IPA, Australia, Beer Reviews, Mountain Goat Beer Pty. 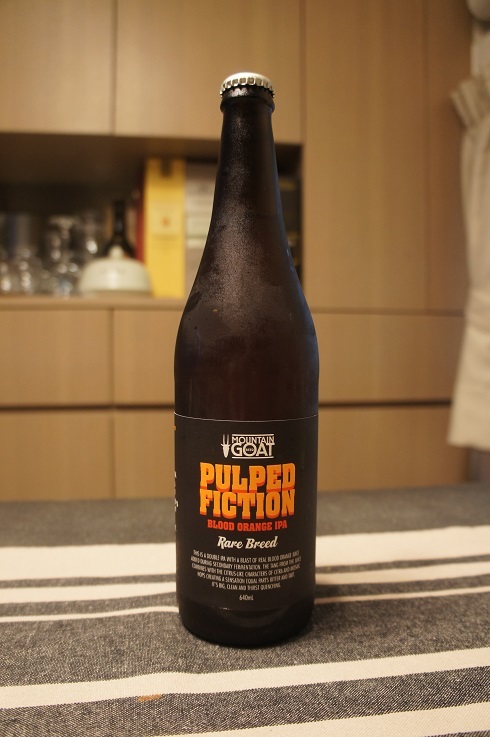 Ltd.
Brewery: Mountain Goat Beer Pty. Ltd.
Other Notes: Water – Melbourne water. 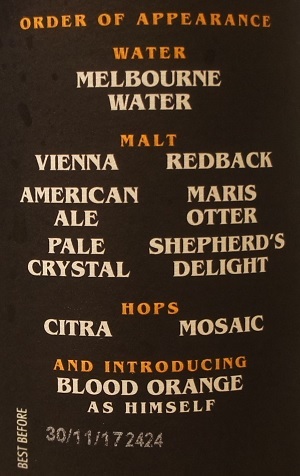 Malt – Vienna, Redback, American Ale, Maris Otter, Pale Crystal and Shepherd’s Delight. Hops – Citra and Mosaic. Adjunct – Blood Orange. Brewer Description: (from bottle) This is a Double IPA with a blast of real blood orange juice added during secondary fermentation. The tang from the juice combines with the citrus-like characters of Citra and Mosaic hops creating a sensation equal parts bitter and tart. It’s big, clean and thirst quenching. Intro: A 640ml bottle with a best before date of 30th November 2017. Poured into a Spiegelau IPA glass. Appearance: Poured a clear copper colour with a slight orange hue, a one finger off white head that settles to a thin layer with sticky lacing. 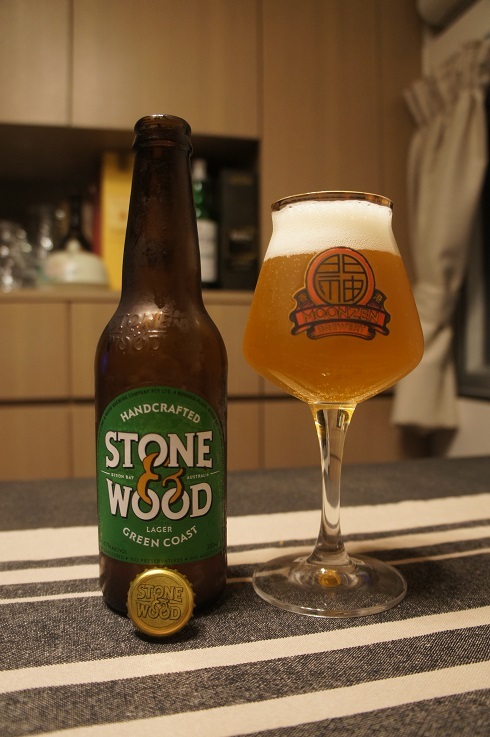 Aroma: Pine, citrusy grapefruit and orange rind, pith and peel with hints of tropical mango and caramel malt. Taste: Citrus orange rind and pith with grapefruit peel bitterness, some resinous pine, with a good touch of sweet caramel malt and blood orange to balance. Overall: This was nice and easy to drink. 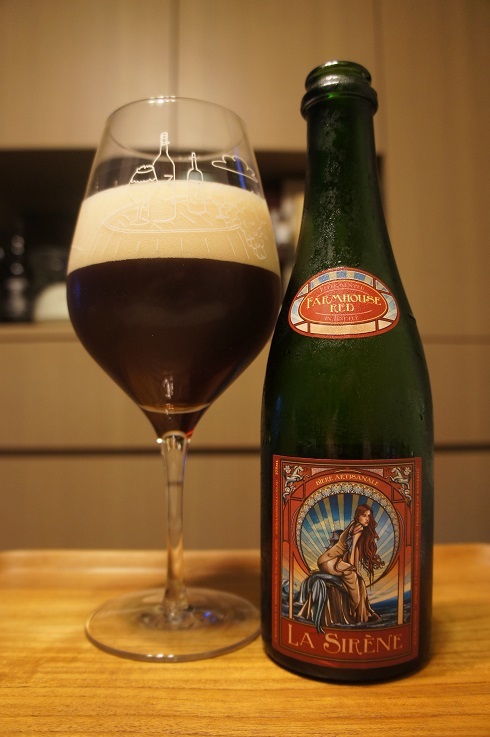 A good balance between the hop bitterness and sweet-ish caramel malt. It’s probably on the border of being between an IPA and Double IPA, but overall, I’d say that it’s an enjoyable Double IPA. 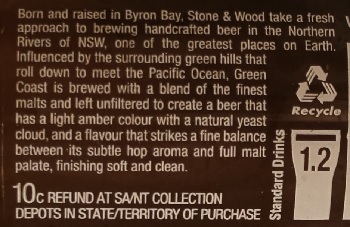 Brewer Description: (from bottle) Influenced by the surrounding green hills that roll down to meet the Pacific Ocean, Green Coast is brewed with a blend of the finest malts and left unfiltered to create a beer that has a light amber colour with a natural yeast cloud, and a flavour that strikes a fine balance between its subtle hop aroma and full malt palate, finishing soft and clean. Intro: A 330ml bottle with a best before date of 8th March 2017. Poured into a Moonzen teku glass. 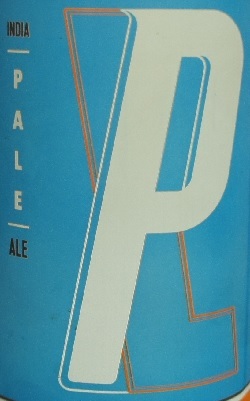 Appearance: A very slightly hazy golden yellow colour with a one finger white head that dissipated fairly quickly while leaving some sparse lacing. Aroma: Sweet malts and maybe a little musty at times. Not getting any of these supposed ‘subtle hop aroma’. 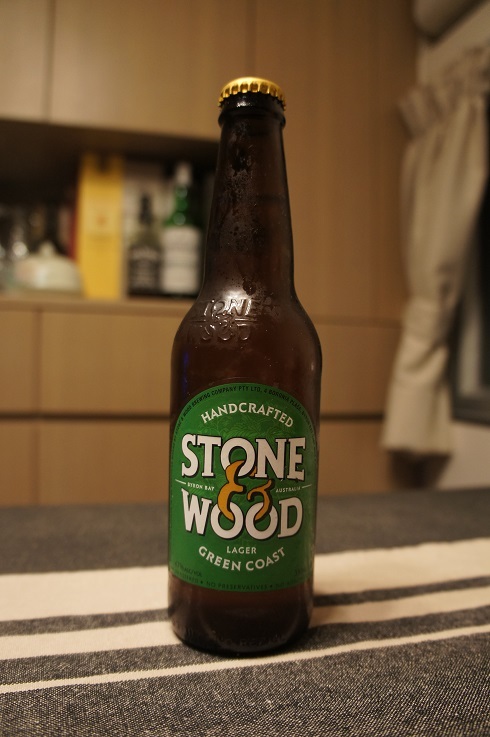 Taste: Sweet malts with some grassy notes. Overall: Can be refreshing on a hot day, but nothing special. 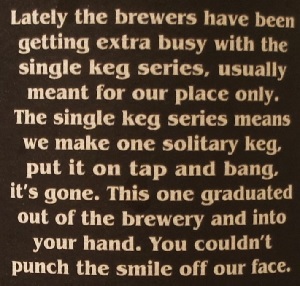 Brewer Description: (from website blog) Up until now if you wanted to step up from our Pale Ale you would have to reach for a trusty tall boy of our IIPA. While we would baulk at the suggestion that this is ever a bad thing, there are times where one wants to drink at least four beers without feeling like they have just gone round for round with Boony on a plane trip back from London. 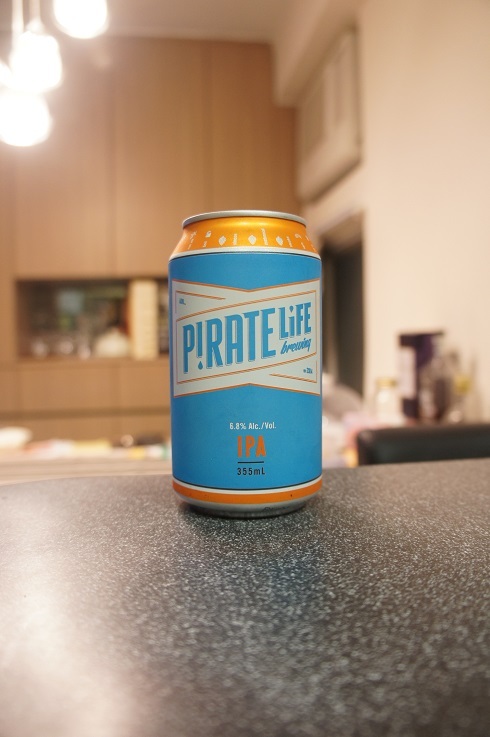 So we are happy to announce we have finally bridged the ABV gap with the release of our fourth core range beer: The Pirate Life IPA. Sitting nicely between our Pale Ale and IIPA at 6.8% ABV the IPA has a gentle orange hue and a round, full bodied malt character care of Pale Malt, Munich and Crystal. With our Pale Ale and IIPA having withdrawn most of our funds from the dank bank we thought it was time to make a beer that brought something a little different to the table. Chock full of Centennial, Riwaka and Simcoe our IPA is bright, fruity and full of liquid fun. Intro: A 355ml can with a best before date of 21st June 2017. Poured into a Spiegelau IPA glass. Appearance: A slightly hazy amber orange colour with a big three finger cream coloured head that had decent retention and left some light lacing. Aroma: Piney, citrus grapefruit with a hint of tropical mango. Taste: Bitter citrus grapefruit and orange, a touch of pine and toasty biscuit malt. Overall: A nice refreshing IPA with great aromas.